We all have that one big question everyone seems to ask. It changes in life. First it starts as an innocent, “What are you going be when you grow upl?” But then, it can turn into what feels like judgment through the years, “What are YOU going to do?” Most of the time, we too are asking ourselves the same question. People don’t see those sleepless nights when we are down because we can’t find a job we love, or unable to enjoy the current season we are in because we are too consumed with the next. I realized asking myself honest questions, help me eliminate everyone’s voices for what I should do. Also I stopped comparing my life to those around me, which might be hard with social media. If I listened to what everyone told me to do, I’d have lots of kids, be in heavy debt, and have regrets that I didn’t go to school to learn editing and travel around the world. To me, those things where important before I got married and have children, which coming from a Mexican background was told that was my only destiny. What DO YOU REALLY wanna do? Discover the goal, work hard, and don’t give in to what is easy. 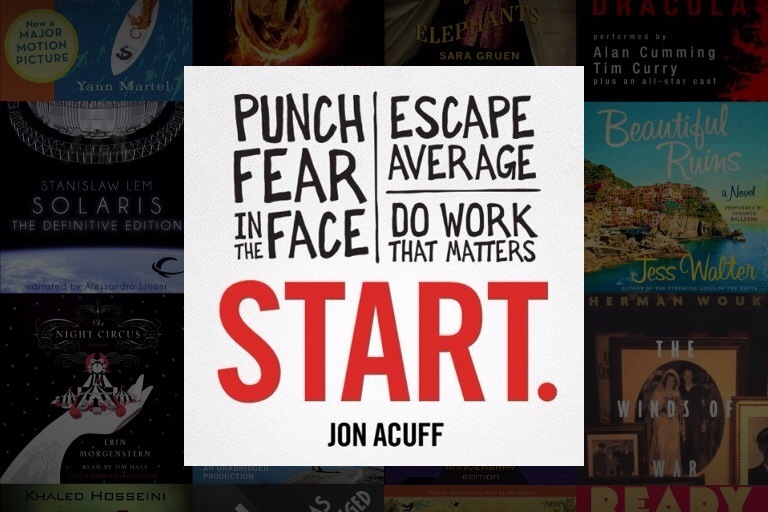 Book to read: I just completed Start: Punch Fear in the Face by Jon Acuff. Super practical and encouraging. It help me see even though I had reached some goals, I still had some I was afraid to admit. This book will sent you on the path worth running.